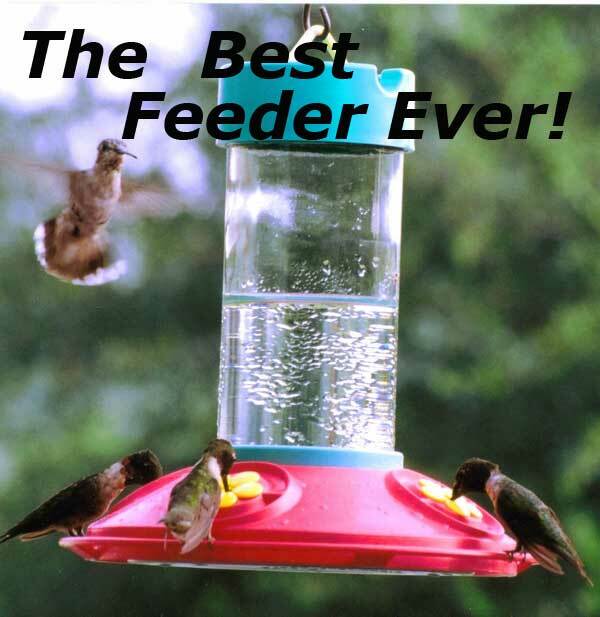 "This is the best new feeder to hit the market in years! Having been fortunate enough to test the feeder during the design stage, I consider it a huge success! In my opinion, it may just be the last hummingbird feeder that hummer lovers will ever have to purchase. It is worth every penny of the cost. It is a rugged beauty that the hummers love! I have 40 of your feeders hanging in my yard NOW!" - Bob Sargent (President, Hummer/Bird Study Group, Inc., and Master Bander), Trussville, Alabama. Dr. JB's Original Hummingbird Feeder.